My girl's lunch the other day. I'm not sure which day. I'm all discombobulated since my computer crashed awhile ago. Ya know how I said it was resurrected? That didn't last. A couple days later it died again. It looks like I need a new hard drive. On a computer that is less than a year old. Curse you, technology! All this to say, I'm all out of whack and off kilter schedule. Hence, two posts this last weekend (when I usually don't post on weekends), I'm at the mercy of my husband's laptop now and he usually needs it for work, so my access is limited. Sigh! I love that giant reindeer cutter. It's much bigger than most standard cookie cutters. I'm not sure where I got it from, World Market, I think? perhaps? Despite its big size, it still leaves a lot of scraps. 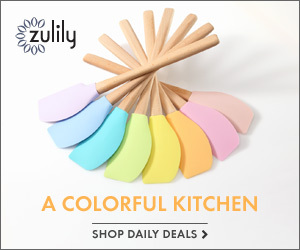 Perfect to chop into bite-sized pieces for my toddler boy. My camera battery went kaput just as soon as I took Paige's lunch picture (technology is out to get me, I tell ya! ), so this one was taken with my phone. Somehow in the phone-fetching process I got the background turned around so the stripes are now in a different direction. Whoops! I love the simplicity of just adding Christmas sprinkles to applesauce. Changes something mundane in one easy step. 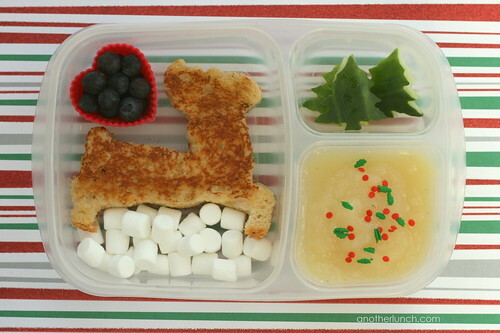 That reindeer cutter really is something! I love it. 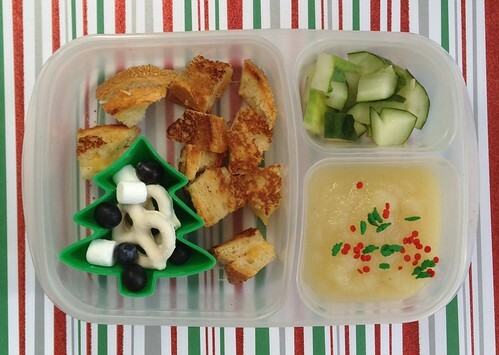 The Xmas tree with the little snacks is such a simple and easy way to dress up lunch! These are so pretty Melissa! Love the cucumbers! very cute lunch! just wondering how you make grilled cheese work for lunch? what do you do so it doesnt go soggy? i am sure it would be a big hit at our house just not sure how to go about it. new bento box: Lego lunch!